سواءً كنت مسافراً بغرض السياحة أو العمل، Quality Inn Carriage House هو خيار عظيم للإقامة خلال زيارتك للمدينة. يسهل الوصول إلى هذا الفندق ذو 3 نجوم من المطار، فهو يبعد عنه مسافة 4 km فقط. سوف يعشق النزلاء موقع هذا الفندق، فهو قريب من أهم المعالم السياحية في المدينة . إن Quality Inn Carriage House حريص على توفير الراحة للنزلاء، فلا يوفر الموظفون جهداً في تقديم أفضل الخدمات وضمان حسن الاستقبال. يمكن للنزلاء الاستمتاع بالميزات التالية: واي فاي مجاني في جميع الغرف, مجهز لذوي الإحتياجات الخاصة, تخزين الأمتعة, واي فاي في المناطق العامة, صف السيارات أثناء إقامتهم في هذا المكان الرائع. تنعكس أجواء Quality Inn Carriage House في غرف الضيوف.تلفزيون بشاشة مسطحة, اتصال لاسلكي بالإنترنت, اتصال لاسلكي بشبكة الإنترنت (مجاني), غرف لغير المدخنين, مكيف هواء هي بعض الميزات الموجود في العديد من الغرف. كما أن مجموعة الخدمات الواسعة الموجودة في الفندق لضمان راحتك تترك لك الكثير من الخيارات لقضاء وقتك أثناء فترة إقامتك. استمتع بخدمات لا يعلى عليها وعنوان ذو اعتبار في Quality Inn Carriage House . excellent, was a great stay. The beds and pillows were so hard and uncomfortable. Wouldn't stay there ever again. We arranged to stay there 1 night through your internet site, them for the next night I rang and book it for a couple not a family as our grandchildren were flying out. We decided not to stay the second night and told the Man at reception that we had to go, that we wished to cancel the night booked over the phone. And his reply was no it's to late a notice we let them know at 9.30 in the morning. Extremely disappointed and we will not ever stay or recommend them to anyone. They don't realise what damage they do . Even part refund would gave been better than nothing. 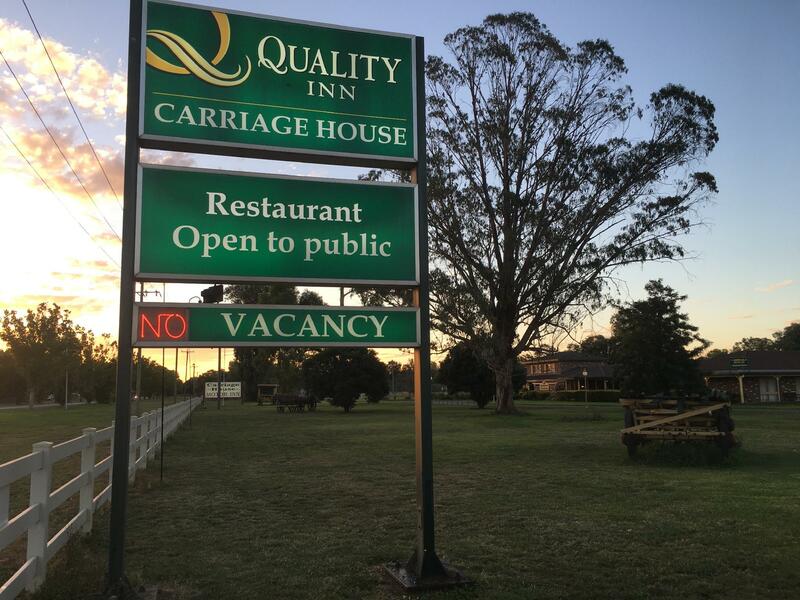 Only a few minutes drive from Wagga CBD this picturesque property Exudes a peaceful country charm and the well priced continental or cooked breakfast with all the trimmings provides a hearty start to the day. Attentive staff, well stocked mini bar, clean swimming pool and BBQ area...this property surely ticks all the boxes. REALLY JUST A STOPOVER BUT ONE WE HAPPILY TRAVEL LONGER TO BECAUSE OF THE QUALITY. The breakfast was great, the room was a good size and the location suited us. Our stay was good. We were in town for our sons graduation from RAAF Recruit training and the location half way between the base and town suited us to go to the base and dine in town. The room was good with the only problem being the Air Conditioning was too cold. The breakfast was excellent, but probably a bit more expensive than we are used to paying. The room was a good size and comfortable but probably could do with an update in decor. Plenty of power outlets and the light was better than most Motels we stay at as they are two problems we usually have in light and power. The Free Wifi was much appreciated but sometimes annoying as you constantly had to put the login and password just about on every use. Overall though as said before our stay was good and the staff were very courteous and helpful. 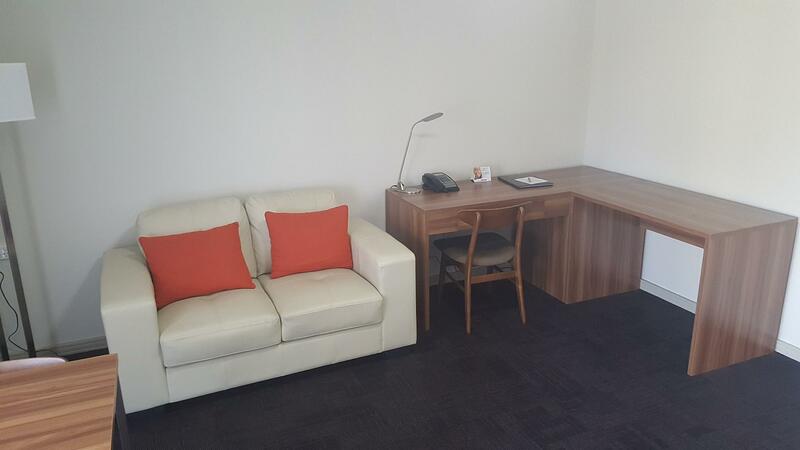 Staff, rooms and overall facility wee great its a corporate focuses operation so not ideal for kids. The pool is too deep for kids under 6 or 6. Overall great. Thanks. The food was the best on the whole trip. Thanks. There is plenty of parking available. Checking in was a breeze and it's easy to find your room. The room itself is large, it has a fridge that actually works, TV reception and chanel availablity was great. The room had a queen bed, a 2 seater lounge, a table, a cabinet which housed the fridge and the TV. and a built in wardrobe. 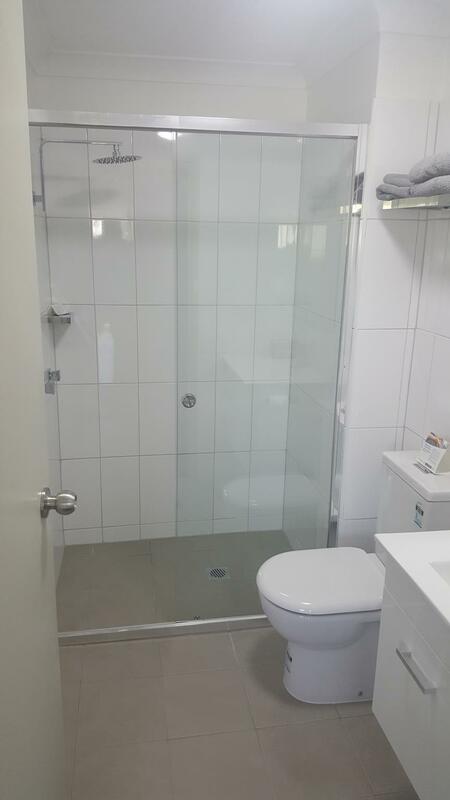 The bathroom is from the 70's and needs to be ripped out and replaced, the shower is in the bath which has a sliding shower screen, very awkward to get into and out of, the vanity was very short and hard to use. Apart from the bathroom the rest was fine, the bed was comfortable, everything was clean. You must eat in Clancy's restaurant, the meals are huge and very tasty, breakfast was fantastic with good choices. The staff are very friendly, nothing is a bother. I would recommend staying here. Food in restaurant was absolutely delicious and staff was very friendly and courteous. 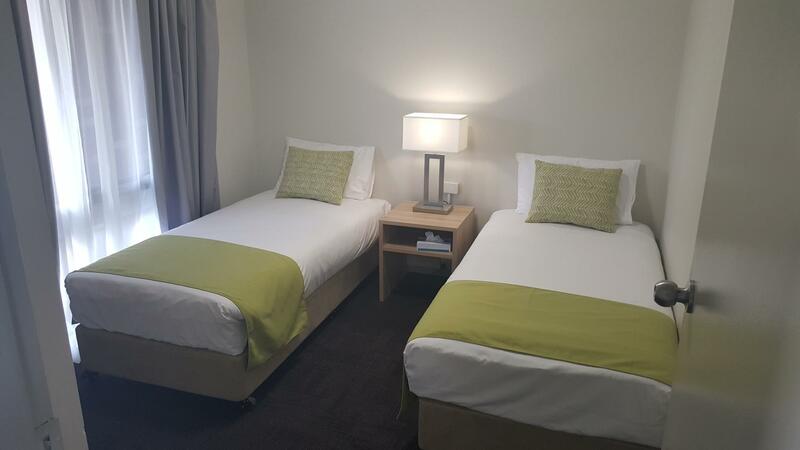 No issues at all very happy with this motel the service provided could not be faulted even though we had made an error with the booking date a room was found for us and it was an excellent room. Wonderful, would stay there again easily. Staff were very friendly helpful and welcoming, rooms large and clean and beds and lounge very comfortable. I found the loungeroom would benefit from some natural light via a skylight perhaps, other than that everything was excellent and will be recommending it again to others. We had a fabulous dinner with seven of our family and the meals were delicious, cooked perfectly and a wonderful way to finish off our stay at the Carriage House Motor Inn. the staff there are quite helpful the rooms are reasonably good has A/C and large TV but the internet was not to good from my iphone they do have Wifi which i did not take advantage of simply because they didn't tell me they had it until the next day at check out. It is very peaceful at night even though it is close to the main highway. Thoroughly enjoyed our stay. Sorry we couldn't stay longer. Would certainly stay there again.